So many people tend to ignore what’s beneath their feet. This happens both in residential and business premises. 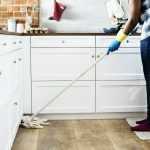 When doing the cleaning, floors are given less attention as compared to other parts of the room. Floors, regardless of the material used, are usually affected by dirt, dust, and debris. Let’s look at some of the ways that your business may be affected by dirty floors. Dirty floors go hand in hand with sick leaves. The dirtier the floor, the more the sick days off. This is because such floors are homes to disease-causing germs and bacteria. Given that the dirt gives them a conducive environment to reproduce, they can multiply themselves at an exponential rate and the first people to suffer from the consequences will be the people working in the office. The problem of sick leaves can be dealt with by having a clean and sanitized floor, which is free of all micro-organisms. This also cuts down on the cost of medical expenses. It is more than obvious that unhealthy employees are less productive. They don’t have the energy or the vigor to perform well at the workplaces. For instance, if they get sick leaves to attend to their medical situation, your business will be deprived of their much-needed labor. This is just because your floors were dirty. With various health complications affecting your business, you will spend most of your time and resources in treating your employees. These funds can be channeled to the company, rather than being spent on health-related issues. Employees who are more concerned about their health issues tend to pay less attention to the core tasks at workplaces, and hence become less productive. 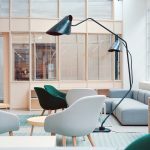 Another way that dirty floors can hurt your business, especially when it comes to productivity, is their contribution to the poor working environment. How does it feel to work in a room that has a dusty floor? No sane person can be proud to be associated with such a place. Even those who are already there may be looking for excuses to get out of the site. It makes no sense for someone to drink purified water in a dirty environment. This is why a decline in the morale of the employees leads to low performance as they will have a negative perception regarding your business. The worst of all will happen if they leave your premises with some communicable diseases. A dirty floor has a shorter lifespan, regardless of what it is made of. The accumulation of dirt and other unwanted material on the floor can corrode its surface or cause structural damage. Some debris may contain acid or chemicals that can cause immense damage on the floor, especially when left without being removed for an extended period. This will force you to spend a significant amount of money to deal with repair expenses, something that you could have avoided if you had taken commercial floor cleaning seriously. Green Clean Ohio can help you avoid all the above effects of dirty floors. Here is where professional commercial floor cleaners come and do the job for you. It is also imperative to note that office floor cleaning is more than just getting rid of dirt. The process includes sanitizing the floors and making them germs free. Green Clean Ohio combine their special skills and the right cleaning products to ensure that the job is done to perfection. They make the floors to sparkle so that everyone can enjoy being in such spaces, and in turn, your business will start to enjoy the benefits of having clean floors.